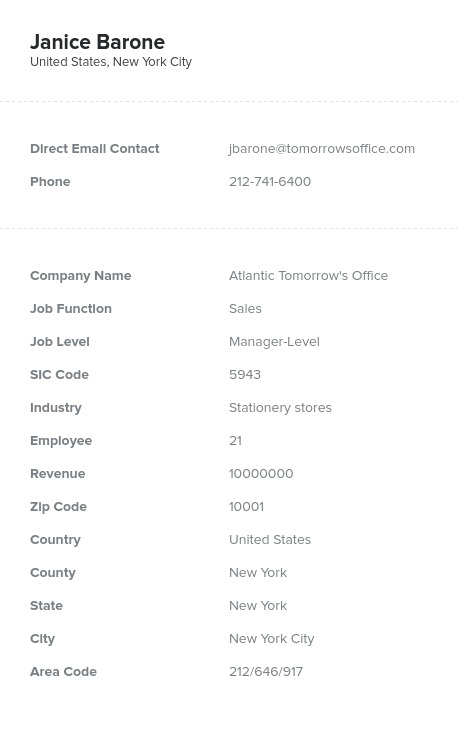 Are you looking for a consolidated list of retailers with all of their contact information in one database? Look no further! Bookyourdata.com offers this pre-built retail email list at an affordable price. Find the best business contacts and start a better B2B campaign. Communicate with a large group of retailers by pulling this extensive contact directory. Bookyourdata.com enables you to reach out to the B2B contacts that are most relevant to your business, and with this retail mailing list, you can market your product or service to those who sell products to the public. Find the people who you need to talk to now with our quality, accurate contacts, which are both machine- and human-verified. Retailers sell products and goods to the public, often as the physical shops, chains, or online stores that directly deal with consumers. If you're trying to get your new service or product line out there, these are the people you'll probably want to talk to. In this retail industry email database, you may find the general managers, key staff, or business decision-makers who can help you get your products seen and bought. Pull this list and email leads, mail out samples, or call the people most likely to enable your company to succeed.